Surf and Sip Brew Trail Kicks off on New Years! Home » Surf and Sip Brew Trail Kicks off on New Years! 2018 means the official start of the first LBI Region Brew Trail! Start the trail off with a celebration at the Ship Bottom NYE Bash at the Ship Bottom Fire House. The Southern Ocean Made Surf & Sip Brew Trail is the cup sponsor for a full day of fun beginning with a Daytime Bazzar, Acoustic Performances, Nighttime Masquerade and Midnight Ball Drop. 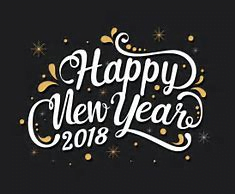 After you toast 2018 on December 31, enjoy a bright start to the New Year on Jan 1 as Southern Ocean Made member Tuckerton Seaport presents Food Trucks and Fireworks along with Pineland and Ship Bottom Breweries. Pick up information about the trail, tour the surf museum, enjoy locally crafted brews, unique cuisine with loads of food trucks, enjoy fire pits and fire works to usher a prosperous year. Hit the trail responsibly, and cheers to 2018!